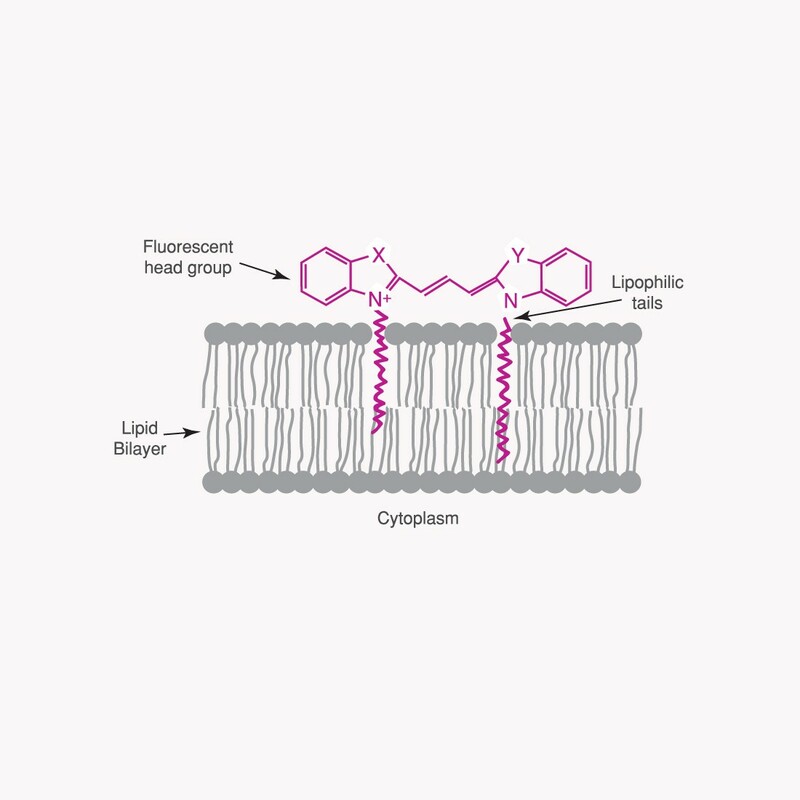 The CellVue® Jade cell linker kit uses proprietary membrane labeling technology to stably incorporate a fluorescent dye with long aliphatic tails (CellVue® Jade) into lipid regions of the cell membrane (1). The pattern of staining is dependent upon the cell type being labeled and the membranes of the cells (2, 3). CellVue Jade®, a green fluorescent cell linker (Figure 1) is expected to be useful for cell tracking applications.